This is Nebula news center. 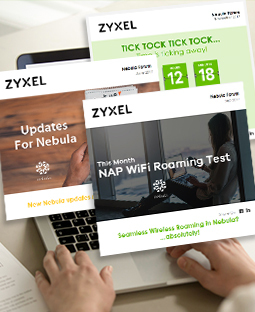 You can get news and updates for Nebula from here. [Release Note] Nebula Control Center - Phase 7 software has been released! [Release Note] Nebula Security Gateway Series - Phase 7 firmware has been released! [Release Note] Nebula Switch 200 Series - Phase 7 firmware has been released! [Release Note] Nebula Switch 100 Series - Phase 7 firmware has been released! What’s new for Nebula App 2.1? [Release Note] Nebula Switch 100 Series - Phase 6 firmware has been released! [News] Introducing new features and members to Nebula! [Release Note] Nebula Security Gateway Series - Phase 6 firmware has been released! [Release Note] Nebula Control Center - Phase 6 software has been released! [Release Note] Nebula Switch 200 Series - Phase 6 firmware has been released! [Release Note] Nebula Access Point Series - Phase 5 firmware has been released! Get your standalone AP onto cloud now!